Leo Sport - gorgeous online store template for Joomla 2.5, designed by professional designer studio LeoTheme. Original design template contains 5 built color options with the ability to customize your own background, font size and color. Availability popular online commerce Virtuemart component will help organize user-friendly view and order the necessary goods. Support for K2 component adds a number of new features and capabilities in the publication of materials on this site. Proprietary platform Leo Framework is responsible for optimizing the template, fast loading pages, support all browsers, as well as adaptive design template. 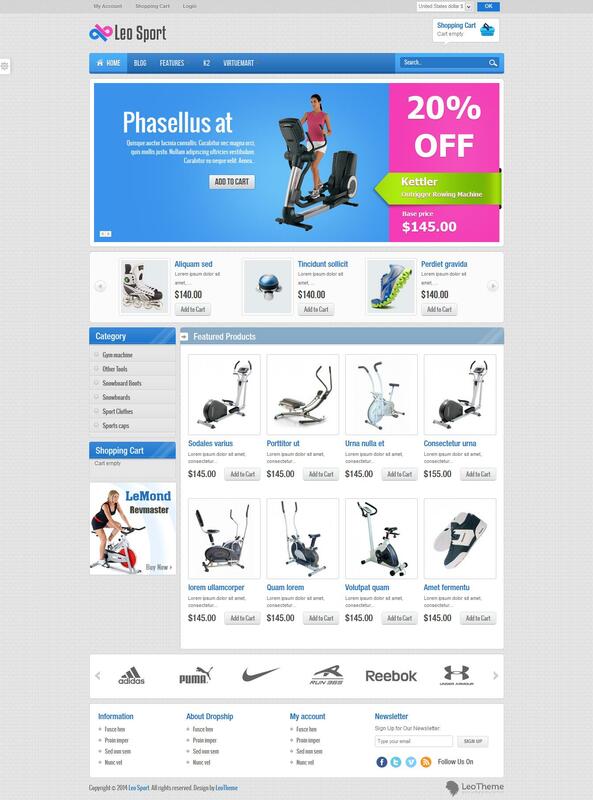 Leo Sport ideal solution for creating a modern and high-quality online store.